Gordmans, like life, always has something unexpected. I’ve shopped TJMaxx and Marshalls forever, because, I will admit it, I love a good bargain. I love nice clothes but the reality is that I live on a budget but I don’t want to dress like I live on a tight budget and neither do my kids. I shop a lot of sales and clearance racks so I can get the style I want for the girls and me without breaking the bank. I can’t believe it, school starts back in less than a month; 3 weeks to be exact. I’m partially freaking out because this summer has gone too fast and partially thrilled because I miss our routine but that also means, one of our favorite times of year is fast approaching, back-to-school shopping. It’s not terribly difficult to get my girls excited about back-to-school shopping; they are girls who love to shop. I do too. The only problem is that when you have children and tuitions and activities, things get expensive and you need to watch your budget. My girls have great taste; unfortunately, great taste usually translates into high price tags but not always, not at Gordmans. My girls know that if you have $200 to spend you can spend it one of two ways, you can buy 4 full-priced items from a department store or you can go to Gordmans and buy an entire back-to-school wardrobe for a child. Smart little fashionistas choose Gordmans. There is just something so satisfying about a seeing the tag and realizing that if you’d bought it elsewhere you might have paid $100 for something that you only spent $40 on at Gordmans. I love Gordmans because the store is clean, well-organized and you can get great brands for less than what you would pay at a department store in the mall. Same quality, same name brands, but for a much lower price. 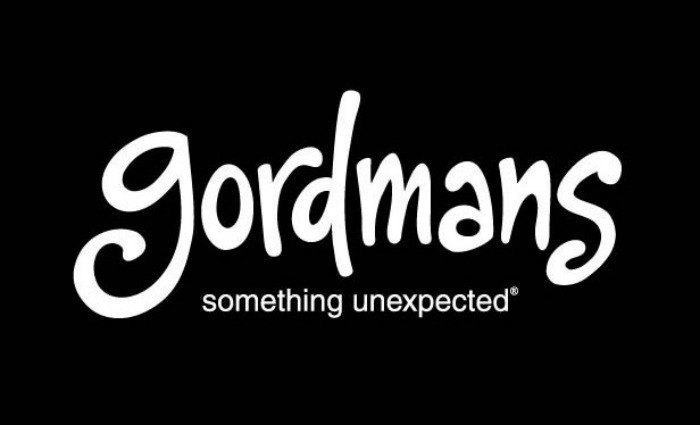 As if a huge selection of brand name fashions at incredibly low prices is not enough to get you in the door; Gordmans also has some of the friendlier associates to help you find just what you’re looking for. Another thing I love about Gordmans is the “Gordmans giggles” area which is a children’s theatre with fun, colorful seating where kids may view children’s programming on a large-screen tv while you shop for sizes and styles, you can still keep an eye on them and they are not bored out of their minds. Honestly, it is the little things in customer service that make all the difference. Fear not, there is also a place for your guys. “Gordmans Grandstand” is a comfortable seating area in the men’s department where guests may view sports-oriented programming. We all know most men hate to shop for clothes, but what if you could shop sizes and styles while he got to watch the game? Just think you could get his immediate response to if he’ll wear that button up oxford without having to lug it home and back to the store. What a time saver! My absolute favorite thing about Gordmans is their loyalty program, gRewards. The new gRewards loyalty program is a free and easy way for guests to shop, earn and redeem! 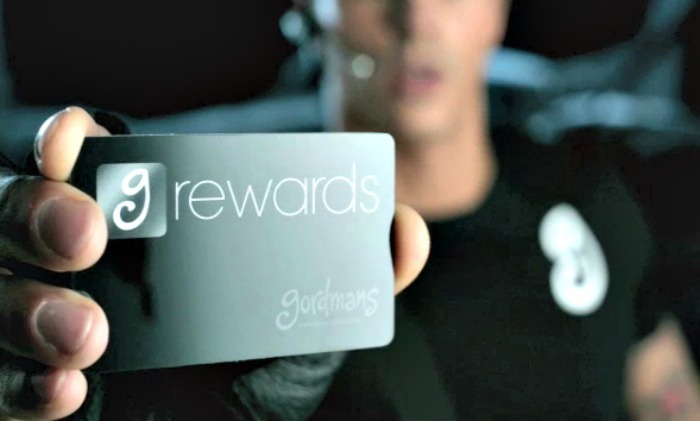 This is not a credit card, but a way to earn points on purchases for future rewards!The gRewards program allows you to earn one point for every dollar you spend and receive a $10 reward for every 200 points you earn; you can earn points faster if you are a Gordmans credit card holder. The gRewards card also gives you a special birthday discount of an additional 10% off your entire purchase. It’s like free money just for doing what I already had to do anyways, shop back-to-school. Talk about something unexpected! Simply by commenting on this post you can be entered to win prizes from a Gordmans sweepstakes.